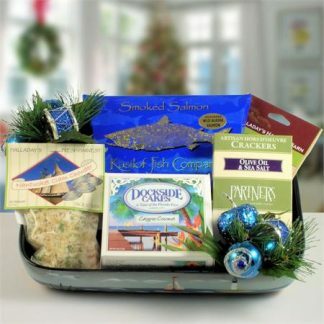 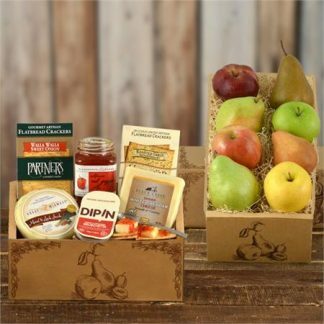 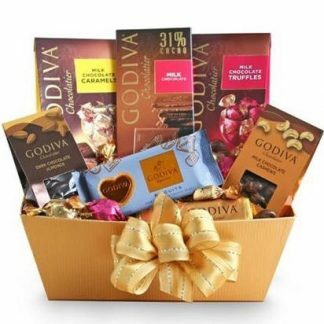 For a gift of ultimate mouth watering proportions, give them this rustic crate and cutting board gift of gourmet. 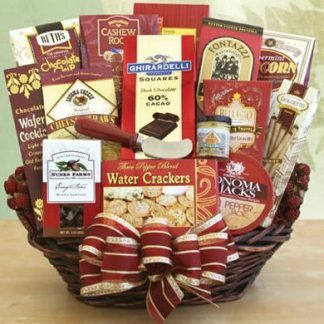 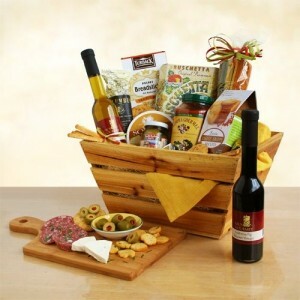 Featuring some of California’s finest tastes, this wood slat crate is filled with colorful angel hair pasta, gourmet marinara sauce, Gil’s gourmet olive oil and California fig balsamic vinegar, mini breadsticks, Sonoma Jacks cheese, bruschetta, cheese crisps, Santa Barbara olives and a Columbus dry salami. 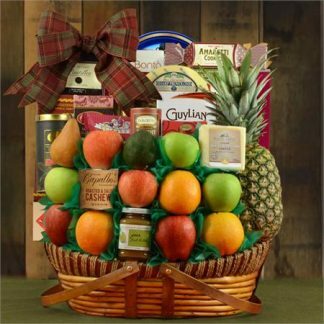 Comes complete with its own wood cutting board, too.